so while I boil the kettle I will scrub the sides or while warming up a bottle I will put a wash load in. This is controversial and I am not ashamed to say I stick the child the older one in front of the TV while I go and put clothes away or clean the toilet yes I might be a bad parent but he enjoys the TV. So that is how I am finally tackling the washing basket the house looks decent and I don’t feel guilty. So mother’s day has been and gone and I know i am a little too late. My children are both too young to really understand mother’s day so the husband makes the effort in their honours I don’t mean to sound ungrateful because I loved my mugs from both of them, my cuddly bear and chocolate (Ferrero Roche) but here is what I would have liked. Maybe too adventurous so maybe an hour off, half an hour off? Me and my husband singlehandedly look after the kids on our own so a little break would have been nice. Our toddler is very curious about food and much like the dog literally begs for our food whether it is coco pops for breakfast, bacon sandwiches or even chippy chips he will literally sit by us and beg for our food until we give it to him so being able to eat to myself would be nice. If it isn’t the toddler it’s the newborn awake while I am suffering from sleep deprivation he is happily playing and not caring about going to bed so a nap without having to deal with either of them would be nice. Between the two of them they poo a lot. I would say maybe 1 or 2 each a day and sometimes it isn’t very nice (is it ever?) so a day off that would be lovely. A day with the husband and i know your saying it’s mother’s day you should spend it with the kids that made you a mum but me and the husband don’t get a lot of time together so that would be nice. A day off or a little break would have been very nice considering they are both so hands on and it is only us two all day and night. I know they made me a mum but sometimes we need a break. “Come to this playgroup. ” said a mum I bumped into. Already my palms were sweaty (not an Eminem reference) and I couldn’t think of anything worse but I looked at my beautiful boy with his golden curly locks and I couldn’t deprive him of seeing other babies and having company his own age. So when I went I was nervous I had baby 1 grumping in the front of the pram because he got a short disturbed nap and baby number 2 was grumping just because. Here is how it went I sat baby J down took his coat off and let him play and then mum’s were coming up to me chatting and it felt amazing. I spoke to the eoman that told me to come and she held baby 2 (baby H) he was fed and burped and I got to enjoy a warm cup of tea I mean luxury. Baby J also had a good time he played with a hand held bell the whole time and crawled round the room even interacting with one of the other babies even if it was just trying to hurt him but he interacted with other kids. I was so proud of myself for getting out there and doing that for baby J because to me it was a massive deal. So it has been 3 weeks since I arrived in hospital at half 7 in the morning and an hour later I had my second son I will call H.
So now I had a chance to sort of settle (yeah right) with two kids (toddler and newborn) how do I feel? I don’t want to whine because I love my life I really do but wow everything is hectic and overwhelming and I will admit now when they are both crying or I have had a bad night I do get a little teary and I am like why is my life so hard! All he’s I am still feeling teary not completely but things set me off and i find myself crying like today making pancakes and they went badly wrong I cried. I am also feeling tremendous guilt for my newborn because I feel I don’t spend enough time holding him.and interacting with him and I feel guilt with my toddler because I can’t spend as much time with him now and all these feelings are overwhelming and the house work is overwhelming and not having any time to myself is stressful so that is how I feel. So mum guilt never goes. I have figured this out in the year my 1 year old has been alive. Am I spending enough time with him? Have I just let him watch too much TV again? Why does the house look so messy etc etc. Now my new baby is born I have a new kind of guilt not with the newborn nope with my now 1 year old. I know everyone loves new babies and wants to come and see them when you come into work but thwy completely ignore my 1 year old who is in the front part of the pram. It wouldn’t be so bad but all, of these people used to come over to him and say hello and he got all of the attention but now no one even says hello to baby J and heads straight for the back. The guilt I feel for this is really bad that I usually go and cuddle him but with my newborn as I am breast feeding he is quite demanding and I feel I spend more time with the newborn than my 1 year old and this makes me feel so bad the guilt swallow me whole and is the worse feeling in the world. So a message to people that want to ogle at my newborn please give my 1 year old attention too. So yay I finally had the baby!! When or in my case if I get time I will try to post my birth story. So what I want to talk about today is how I am coping with both of them. So my newborn screams a lot I know thats not a big surprise but it then wakes up my 1 year old and when they both start crying I feel my brain cells die out. Its so hard to get them both back to sleep because our 1 year old seems to compete to be the loudest and the baby needs feeding and looking after every couple of hours. I wouldn’t though be able to do any of this without my husband who shares everything with me 50/50. He has been absolutely great Co parenting our 2 kids I know its only been a week but I do feel we might have this as stressful as it is we will be okay. 4.) 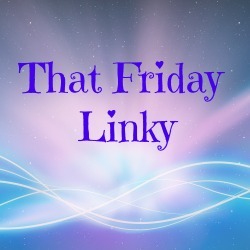 Jacqui’s hosting this week, so she’ll comment on your post (along with other lovely linky joiners) and all five of us will of course retweet your post and share with all our followers. 5.) Tweet us (@TheMumConundrum @MamavilleTales @momof2lgs @twinstantrums@onemessymama4 ) with the URL to your post. Make sure you include the hashtag #ItsOK so that we know you’re tweeting us your linky post. If you don’t tweet us we might not see that you’ve linked up, so do make sure to give us a shout. 6.) Each week the host will choose her favourite post which will be featured the following week, retweeted and shared on facebook. If your post is featured as one of our favourites then you are very welcome to display our lovely ‘#ItsOK Featured Blogger’ badge on your sidebar. 8.) Are you on Pinterest? Come on over and follow our #ItsOK board, we’ll share your posts and you can plunder all the super-useful / funny / interesting reads and finds we amass too. …See… it’s not that strict! You’ll definitely find that the more you put in, the more you get out, obvs. Come on all you #mblogger #pbloggertypes the #ItsOK #linky is on, & we want to see your best (parent blogging) moves! Making you laugh and joining the #ItsOK linky at the same time with this hilarious list of reasons two and three year olds have tantrums. Come on you lovely parent blogging types, you know you want to…. Being pregnant isn’t easy as it is but damn it is near impossible when you already have a baby. I am currently 38 weeks pregnant and found out when my son was only 4 months old so I would be puking my morning guts up while he was crying in his cot and I would have to attend to him after. I have to say I have woke him up from naps due to my loud morning sickness as well. Also I go through days of i cant be bothered to do this blah blah but now j is almost a year and his sleeping pattern is some what scattery I am usually awake at 4 even 3am when I have all the 3rd trimester problems of not sleeping well as it is so ill get about 4ish hours but the husband works and I have to get myself out of bed and tend to him make his bottles breakfast etc. Another thing is the constant need to go to the toilet and now j is getting mobile it’s hard to leave jim so I have to constantly hold going to the toilet which starts me feeling crampy and if I so much as sneeze let’s just say leakage happens.